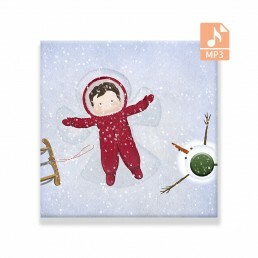 MP3 Album for children (0 – 2 years old). Total length: 78 min. 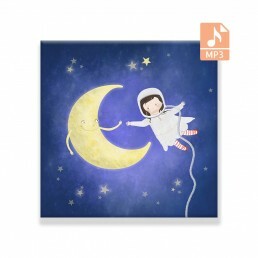 Lullabies – Bed Time is an album filled with the sounds of nature and valuable music that calms you down. Each lullaby lasts about 10 minutes and takes the child to a world filled with the sound of the sea, rain, or forest. A set of lullabies, containing little to no words, surround the child with a purely musical melody experience at various scales, meters, and arrangements that are instrumentally and stylistically diverse. Their sound wealth enclosed in a simple form will stimulate the imagination of the child, and the adult will be enticed to humming.